Schlotzsky’s®, home of The Original® oven-baked sandwich and famous Fresh-from-Scratch® buns, today announced the addition of mac ‘n’ cheese entrées to its menu, or as Schlotzsky’s affectionately refers to them – Macs. 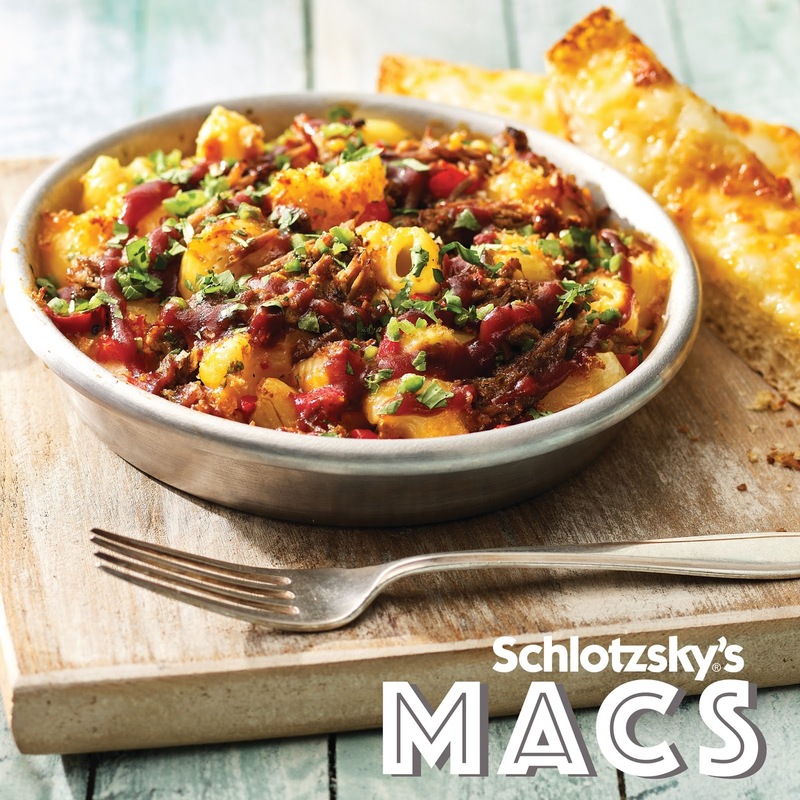 The four new Macs will be permanent menu items and are now available at all Schlotzsky’s locations nationwide. Each unique, hand-crafted bowl offers bold flavors and features fresh, high-quality ingredients atop our signature Canestrelli spiral pasta such as hickory wood smoked brisket, hand-carved chicken breast, caramelized onions, roasted red bell peppers and rich, gooey cheddar cheeses. With four unique recipes, Schlotzsky’s is offering something new to satisfy every craving. Additionally, Schlotzsky’s is offering the cheesiest Mac in town for kids of all ages – the Little Mac. A kid-sized portion of Schlotzsky’s signature Canestrelli spiral pasta served with a gooey cheddar cheese sauce finished off with a sprinkling of shredded cheddar cheese. 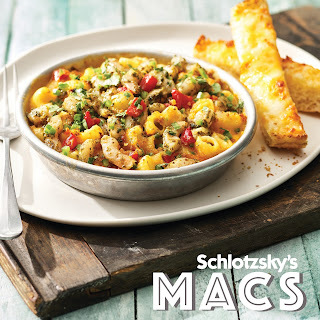 For more information or to find the nearest Schlotzsky’s location, visit www.schlotzskys.com. Since 1971, Schlotzsky's® has been the home of The Original® oven-baked sandwich. The menu has evolved with guests’ tastes to include the highest quality hot delicious sandwiches on its legendary Fresh-from-Scratch® oven-baked sourdough buns, gourmet pizzas, Artisan flatbreads, oven-baked pastas, freshly made-to-order salads, savory soups and delicious Cinnabon® treats at co-branded locations. With more than 350 locations worldwide, Schlotzsky's is the fast-casual choice for a quick and fresh dining experience. For more information, visit www.schlotzskys.com.